In order to help encourage the inclusion and participation of people with autism spectrum disorders or other disabilities, it is important to consider some of the needs and accommodations that a person on the spectrum may have when participating in an event, activity, or program. What are some common support needs that people on the autism spectrum may have? People on the autism spectrum may have a variety of unique strengths and weaknesses and require a wide variety of different supports (or may require none). The following include eight common support needs for people on the autism spectrum. This listing is not comprehensive but may allow a better picture or understanding of common supports to make spaces, events, and programs more accessible to people on the autism spectrum. People on the autism spectrum may be overwhelmed by large groups because of difficulties understanding social nuances, difficulties finding the right words, and/or difficulties responding in a timely manner to questions asked to large groups. Changing agendas during meetings can cause access issues or throw off the train of thought of a person with an autism spectrum disorder. Separating background noise (i.e. the sound of a light bulb, children laughing or playing in the background, feedback from a microphone) from noise in the foreground (i.e. a speaker making a formal presentation) can be taxing for people on the autism spectrum. Closing doors, providing ear plugs (when necessary), or choosing venues that do not have significant background noises can help encourage the accessibility of people on the autism spectrum. 4. Maintain sensory retreat rooms to provide a safe space to manage sensory overloads. People on the autism spectrum may sometimes need a safe place to go to retreat from an overwhelming or over-stimulating situation. These rooms are best if they are away from elevators, escalators, and other objects that may continue to stimulate a person on the spectrum. Compact florescent lighting can cause severe sensory issues for people with autism spectrum disorders, including issues with balance, dizziness, and communication. Flash photography can cause seizures in people on the autism spectrum who have epilepsy or seizures. People on the autism spectrum sometimes have difficulty with amounts of social interaction. These badges can help everyone understand how much social interaction a person may desire and be able to handle during an event or activity. For further information, see www.autreat.com. People on the autism spectrum may have difficulties with processing voices and be more able to understand meetings when they occur through text. Additionally, people on the autism spectrum may have social anxiety issues that are heightened during face-to-face meetings. As such, online meetings through instant message may alleviate some of these potential difficulties. This information was contributed by the Autistic Self Advocacy Network. For further suggestions, please see ASAN’s Event Accommodation guide. Date posted: March 29, 2011. 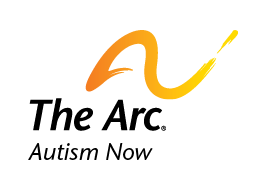 Content created by The Autistic Self Advocacy Network. Last updated: March 21, 2018.